The first day of school is special for all children. 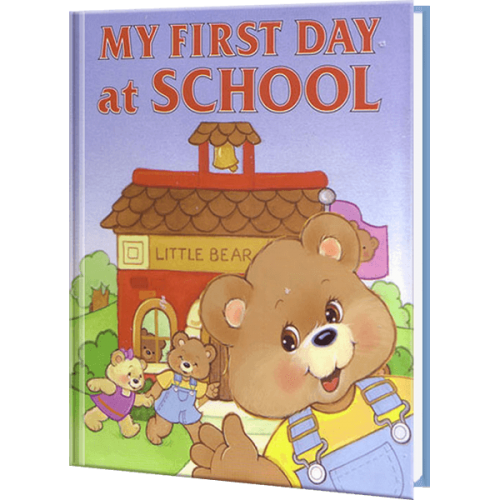 This personalized book will show your child some of the exciting activities he/she may encounter at school, such as listening to stories read by the teacher, reciting the alphabet, counting, lunch, playtime, art, and making new friends! This is the perfect keepsake for parents to remember this milestone event, and for children anxious about starting school. Give your child confidence as he/she begins this wonderful new phase in life.